A good body scrub can be spendy; and let’s face it – if your like me, you might treat yourself only to use the product once, forget you have it, and find it months later when it’s all dried up and useless. Sunday afternoon we were longing for a soothing bath time treatment and decided to make our own. 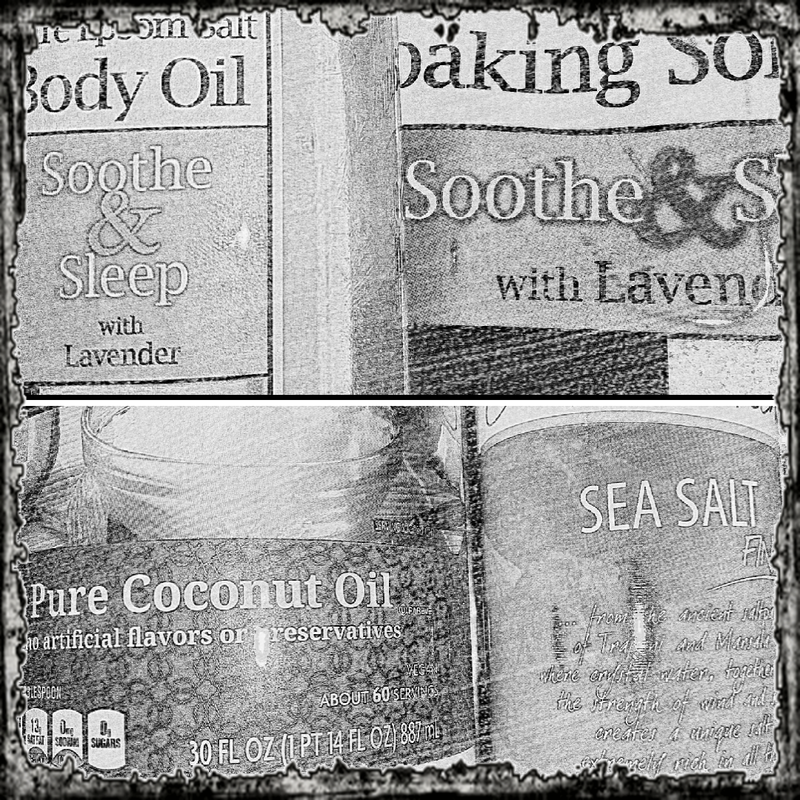 Here’s what we were working with: Some Lavender body oil, Epsom salt with lavender, Sea Salt and pure Coconut oil. The health benefits of sea salt and coconut oil in the beauty department are endless, we have discussed some of these in past posts but always separately. We have yet to combine the two for a single treatment. Add in the Lavender oil and Epsom salt and it’s sure to be just the small little wonder we were looking for. Let’s talk about some of the benefits of these 4 products. Sea salt can help push all toxins out of your body, the skin becomes soft and healthy. It has been seen that regular sea salt baths can enhance the skin tone to a large extent. The magnesium present in the salt can prevent the retention of fluid from your skin keeping it supple, firm and youthful. 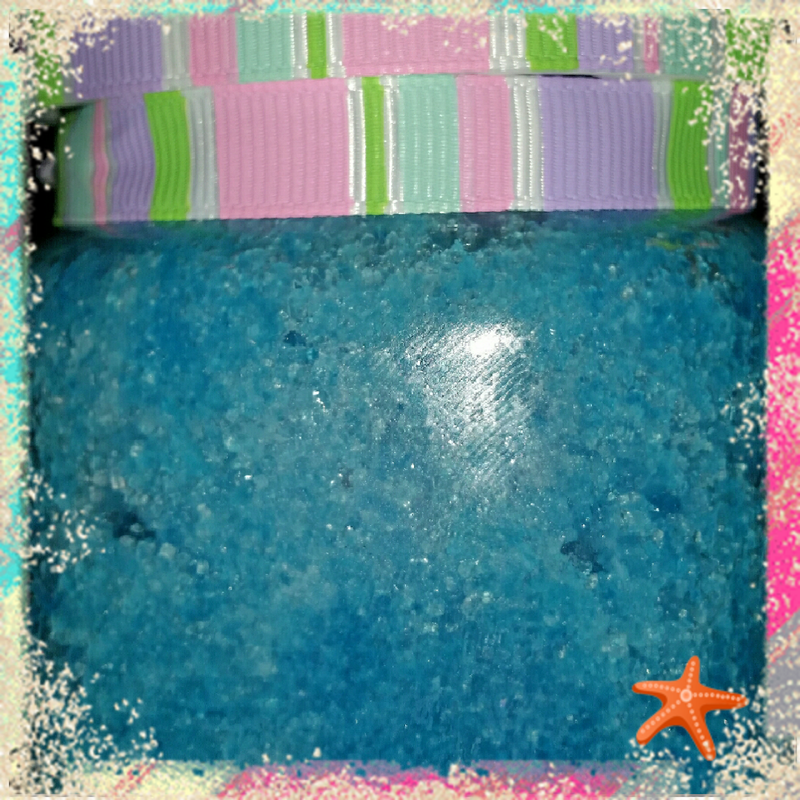 Sea salt is full of vital vitamins and minerals, which are required for providing proper nourishment to the skin cells. These nutrients can improve the cellular energy metabolism, keep the tissues hydrated, boost blood circulation throughout the skin surface and increase the strength of cell membranes. The calcium content of sea salt can help in cleaning up clogged skin pores. If you have an acne-prone skin, go for the sea salt pore cleanser. It keeps your skin clean and clear by reducing the chances of skin infections. You can also use sea salt as a natural exfoliator. The texture of this salt helps remove the upper layer of dead skin cells and reveal a fresh one underneath that. Epsom salt is very beneficial for the skin. Application of this salt on moist skin gives it a soft and smooth appearance. It also acts exfoliates and removes all the dirt and dust accumulated on the skin making it fresh and young. The anti-bacterial effects of coconut oil can aid in acne treatment. Actually, this skin oil comprises of high amounts of lauric acid and capric acid, which are antimicrobial agents that treat acne. Using coconut oil not only treats acne, but it prevents further outbreaks as well. Coconut oil can benefit those with dry skin through acting like a skin moisturizer. A study explains that coconut oil is a highly effective moisturizer for flaky and dry skin. Lavender oil benefits for the skin can be attributed to its antiseptic and antifungal properties. It is used to treat various skin disorders such as acne, wrinkles, psoriasis, and other inflammatory conditions. It is commonly used to speed up the healing process of wounds, cuts, burns, and sunburns because it improves the formation of scar tissues. Lavender oil is also added to chamomile to treat eczema. 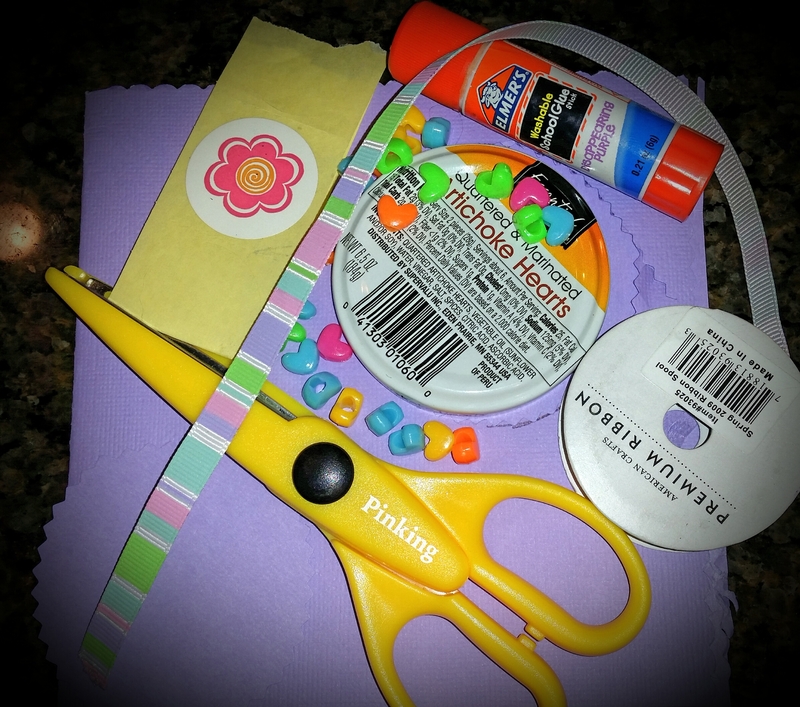 We pilfered our cupboards for a jar and some craft supplies and went to work. 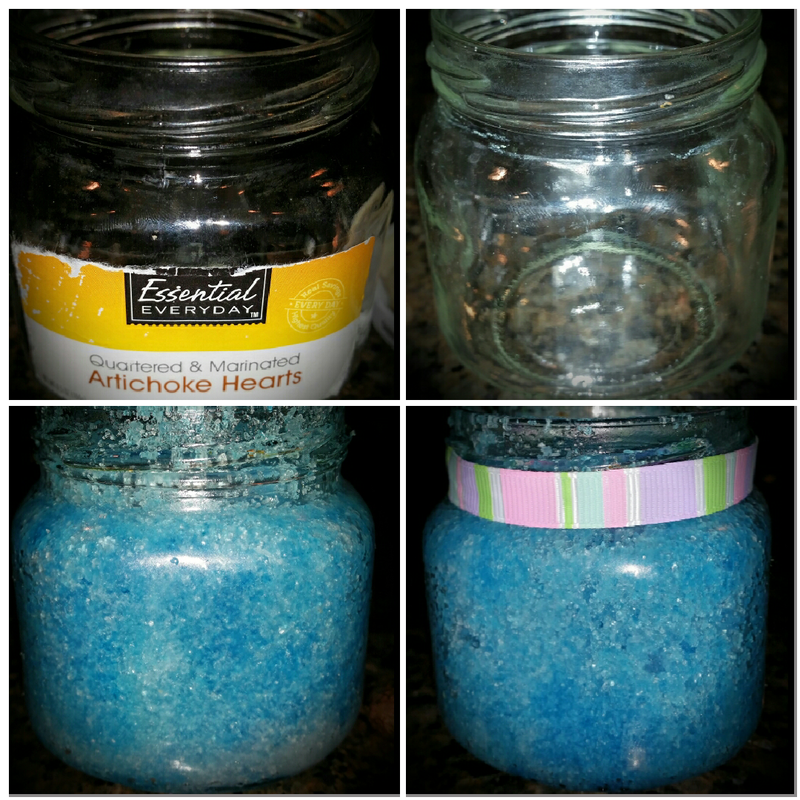 Some scrubbing of the jar, a few artistic touches from Mermaid, a bit of a mess and…. 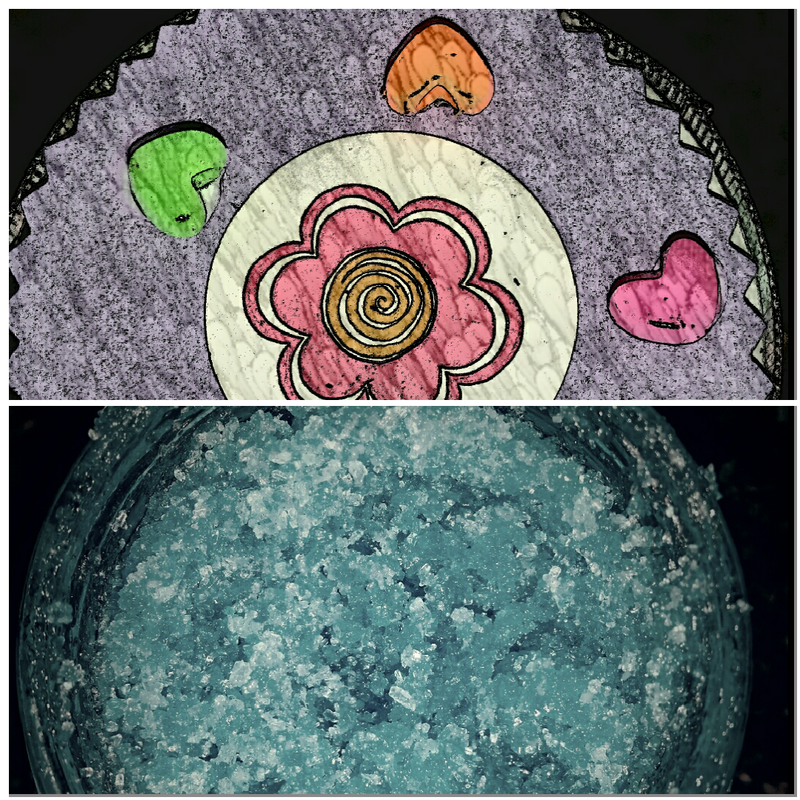 Mermaid and I’s homemade body scrub. Remember we trialed the “It Works” exfoliating peel. 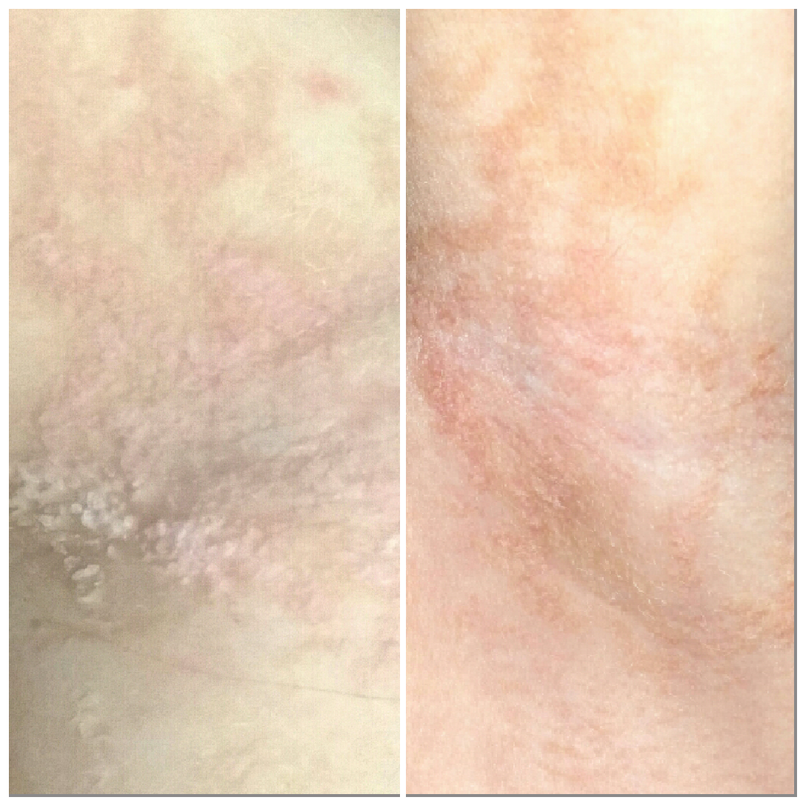 We used this product two times a week, for two weeks, on Mermaid’s largest nevus area beneath her arm. During this time we stopped all other treatments; including lotions and soaps. 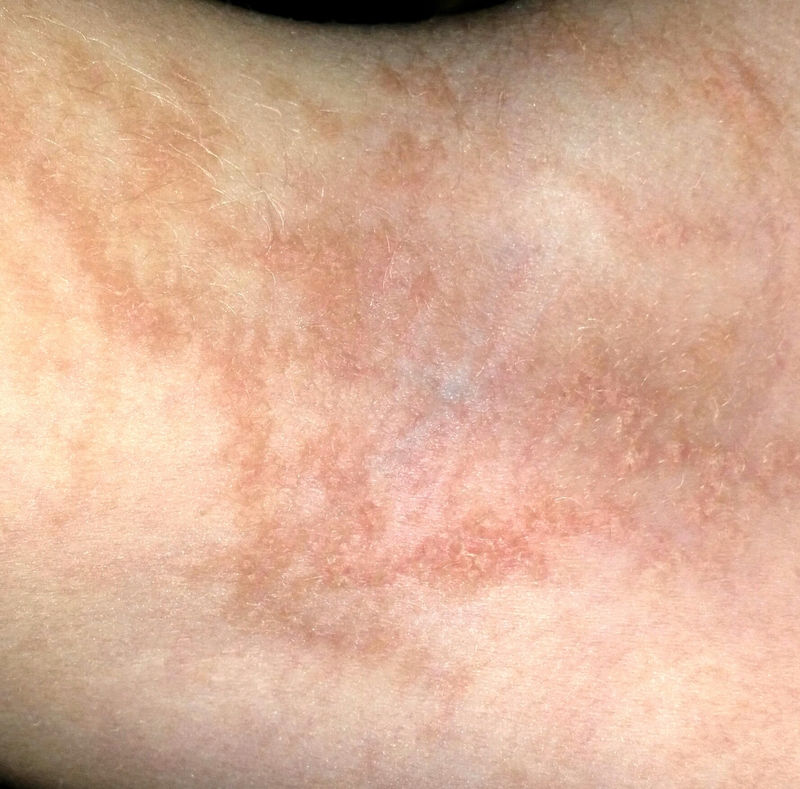 Mermaid’s disease thickens, in time it is almost inevitable that it will become warty to the point that we will not be able to manage it with home care and that’s when surgery comes into play, if she chooses, or if it effects her joints on her hands. Over time you can see below that it begins to thicken. Even with moisturizers, this will happen. 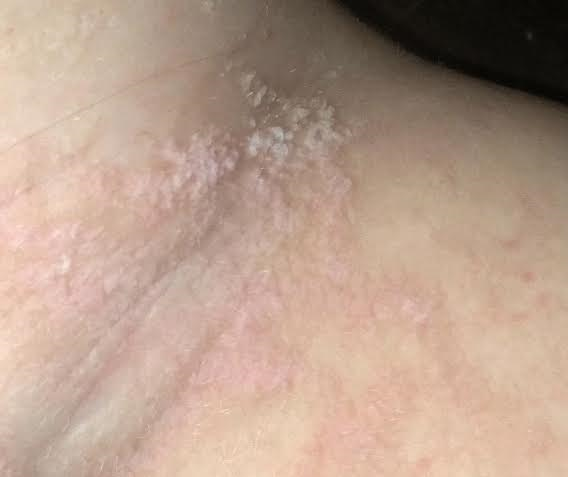 My hope with the exfoliating peel was that we could flatten the thicker areas and help prevent some of her “picking” and itching. Hydration is the most important factor in lessening the itch but the thicker it becomes the more painful it becomes. I am happy to share that yes, the exfoliating peel did just what it was suppose too. To be honest I took NO pictures along the way and paid little attention to the effects aside form making sure Mermaid was not having any kind of negative reaction to the product. I am so pleasantly surprised to see the side by side this morning. Mermaid’s skin is flatter and currently, is not scaling. I would have to deem this trial a huge success! As a loyal customer we paid $36.00 for this product ($60 retail) which seems to be on the higher end of most products we try, with the exception of the WartPEEL ($80) but it lasts. 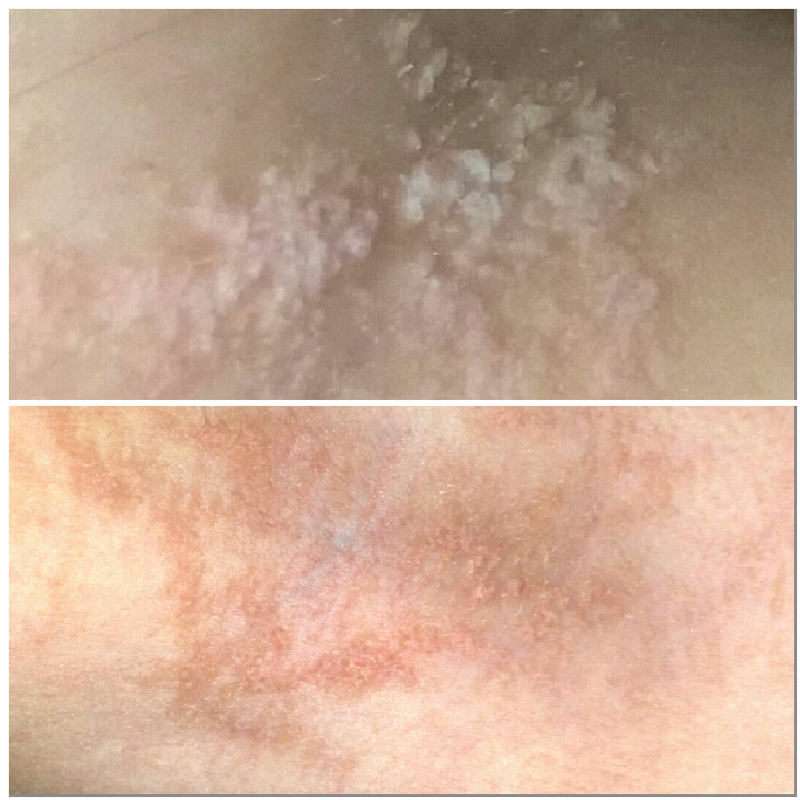 I too, used the product all 4 times Mermaid did on a patch of eczema (wish I took pictures) and we have well over 3/4 of a bottle left. If your weighing out the cost, I expect this product to easily last us 3 months for 2 people. I will move this trial to our permanent page so you can easily locate it if looking for something to try. If you are interested in purchasing or just looking at any It Works products feel free to contact either friend of mine who will guide you through the uses and any information you could ever imagine wanting.